Science is not only the passion of scientists. As a subject, it engages, instructs, and shares with anyone who displays a sincere curiosity and a willingness to know more about the life within us, the world around us, and beyond. Science, as we are discovering, cannot be confined within the hallowed halls of institution, either. It needs to find its place in society, pull up a chair, and start conversations. At the Bangalore Life Sciences Cluster, we are more committed than ever to taking our science into the city with various initiatives that allow interactions with the general public and our local communities. We want to share our science with you and in a setting that is less rigid and structured, more informal and colloquial; spaces that are social, places where you’d meet up to catch a show, grab a coffee, or listen to a performance. 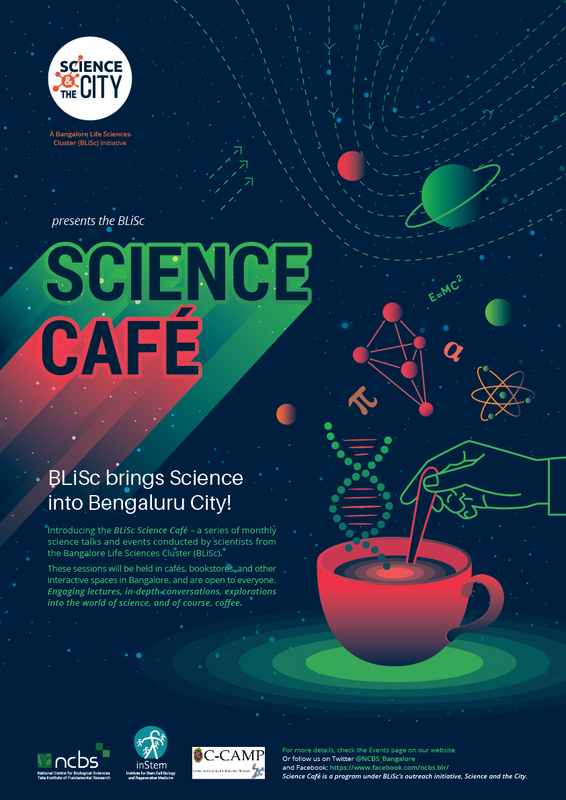 To this end, we are excited to bring you the Science Café: a monthly series of curated science talks by scientists associated with the Bangalore Life Sciences Cluster. These talks will come to your neighborhood cafés, bookstores, performance spaces, parks, and activity centres in Bengaluru. We are currently populating our calendar for the year and finalizing venues, but we have five exciting speakers lined up already and they are prepping for this unique platform we have created. Share the news, join the conversation on social media, and be part of our movement to bring our science into the city.